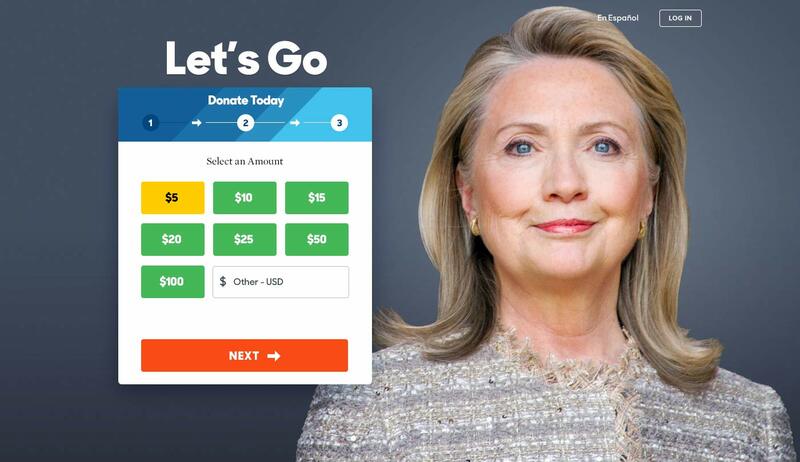 In early 2013, before Hillary Clinton had officially announced her candidacy for President in the upcoming 2014 election, some friends from my time at The Obama campaign reached out looking for some design help to launch her campaign. Working under the project management of Laura Olin at Precision Strategies, I was tasked with delivering some look-and-feel concepts for her official homepage, as well as providing some visual styling for the site's donation flow. There were loose ideas being floated for content strategy but nothing had been made official yet, so the exploration was fairly blue-sky at that point. My homepage ideas didn't end up getting used, but the donation flow styling made it in to become the first iteration. 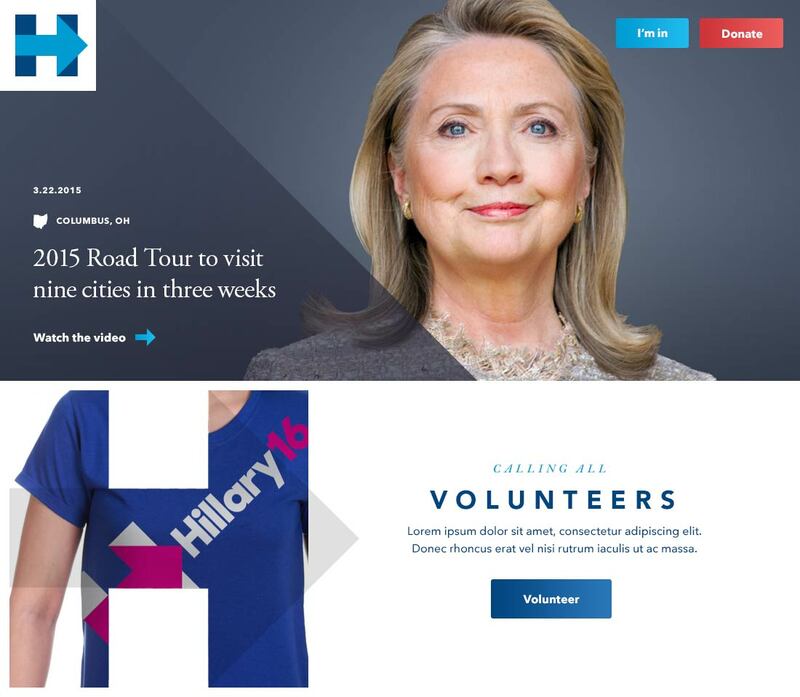 Shortly to follow, HFA began hiring an amazing design team which took over and created a gorgeous visual campaign for candidate Clinton, and my work faded into history, but I am proud to have made some small mark on her historic run for President. Here is some of the work I delivered. 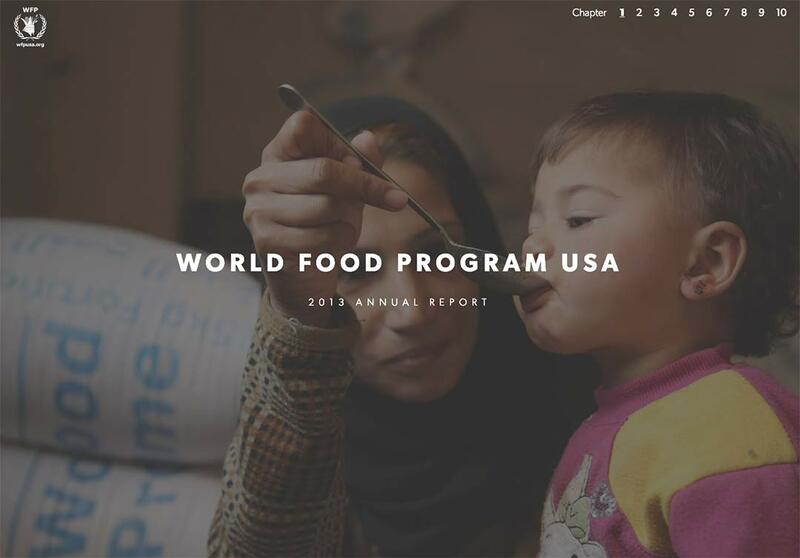 I had a lot of fun designing and building the online annual report for World Food Program. 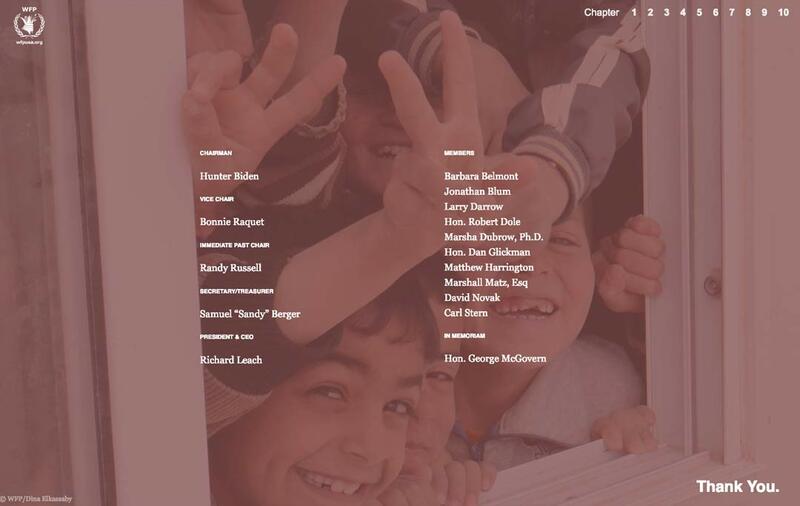 Since the content was divided into chapters, I opted for a scrolling behavior that felt like turning the pages of a large book. WFP had access to a trove of beautiful and heartbreaking photography, showing the need for food around the globe, and the immense scale of their aid and outreach. The information architecture allowed for keyboard friendly scrolling in any direction on most views. 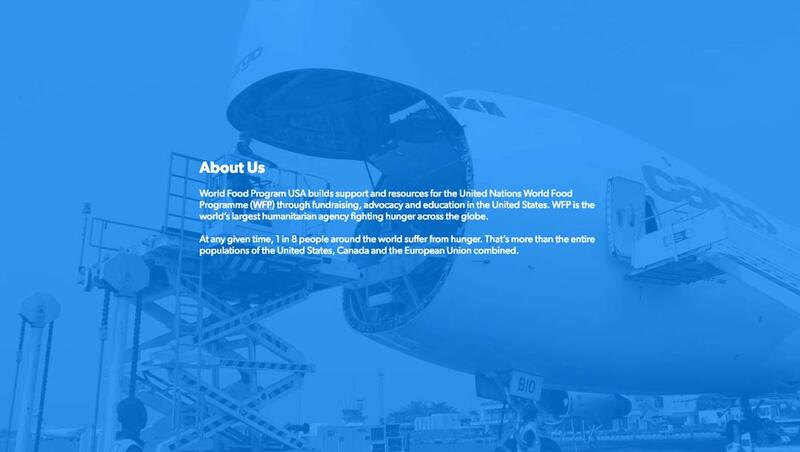 Beyond conveying emotion, WFP needed to communicate what it had delivered over the previous year with data. 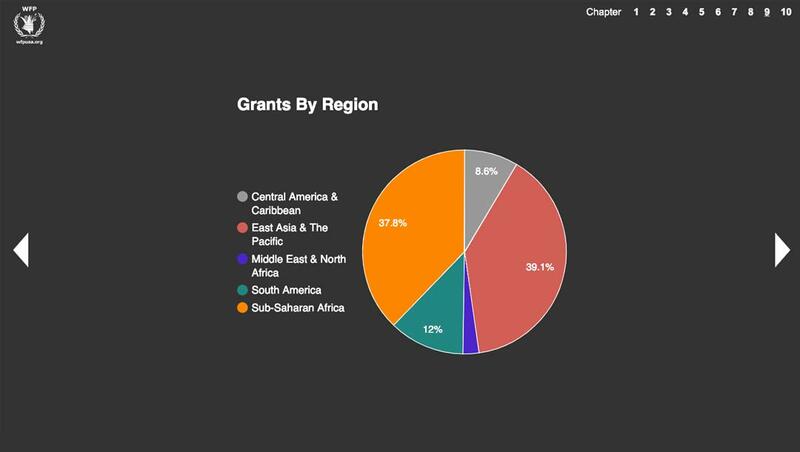 The report would eventually include tables, graphs and an interactive world map showing all the locations visited, and benefitted, by WFP that year. I'm proud to have contributed what I could to this wonderful cause. The project was managed by Lauren Parks and Aliya Karim.